Who is dead, who is alive? Three famous American men were reported dead yesterday! The earliest reported celebrity death yesterday, November 19, 2017, was actor, singer songwriter and former teen heartthrob, David Cassidy. It turned out to be a hoax.The 67 year old Cassidy remains in a Florida hospital suffering from multiple organ failure. Cassidy is best known for his role as a member of the Partridge Family on TV in the 1970s. Then came news of Country Music legend, Mel Tillis‘ passing at age 85. Turns out this was true. Tillis, who was extremely popular through the 1970s with hits like Who’s Julie, Coca-Cola Cowboy and Good Woman Blues died of natural causes. He also had an acting part in Cannonball Run (1981) which starred Burt Reynolds, Roger Moore, Dom DeLuise and Farrah Fawcett. About these true icons, I am very sad; but a third well-known American man died last night in Bakersfield hospital in California,cult leader and mass murderer Charles Manson, who was 83. I, for one of many, am glad that this un-remorseful criminal is no longer a burden on the California penal system. Perhaps this will bring some small closure to the families of his victims. For the past few months I have been faced with two grossly different but equally scary situations. First my main computer hard drive crashed with some important files which had not been backed up. This proved to be a difficult recovery situation. Then I began having health issues, the origins of which also have been difficult to determine. In both cases original attempts proved futile. After seeing three doctors, I am having my second procedure on Halloween to try to find out how to treat my tricky health problem. The other issue, however, should be resolved that same day. The files were recovered through a nationally known, prominent recovery service, shipped out and scheduled to be delivered on Halloween. So, provided my health issues can be soon resolved I will be able to return to work on my third and final volume of Most Comprehensive Origins of Cliches, Proverbs and Figurative Expressions and the needed changes in Gerald Sinclair and Rondo B B Me‘s epic tome The Enigmatic Sinclairs, original volume! In the meantime, my two associates, Michele Doucette, Editor in Chief of St. Clair Publications and Graphic Artist, Kent Hesselbein continue to do a splendid job of putting out great new books! More about that soon! A popular 1993 Bill Murray movie titled Groundhog Day spawned a wave of use of the term to describe a day or time when something which had already happened seemed to play out over and over again. That story has now been made into a Broadway Musical. Another term, deja vu refers to an incident which to be seems strangely familiar, as if it had happened to one previously. Yogi Berra coined the term ‘Deja vu all over again,” which is a comical redundancy scoring high in his list of ‘Yogi-isms“. 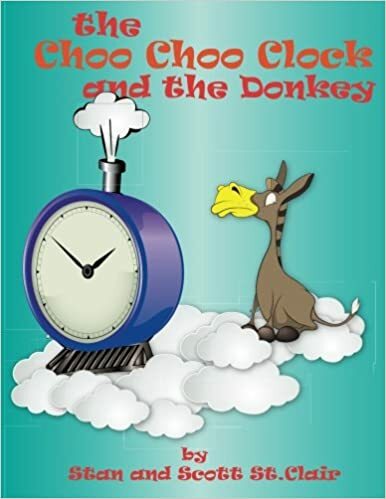 For the last several years I have researched and published books about the meanings and origins of common sayings, idioms and expressions which we hear on a regular basis in America, the U.K., and other English-speaking countries. The most popular of these is the original volume (now with revisions) of Most Comprehensive Origins of Cliches, Proverbs and Figurative Expressions. For the past several days when I have turned on the television newscasts, I have been hearing the same rhetoric about the North Korean threats and the responses by President Trump. I try hard not to get involved online with political matters, as I have friends on both sides of most issues. But I think that everyone agrees that this is not going to end well. In hearing the same things for days on end, it made me feel like coining a new expression, This all seems a bit like Groundhog Deja vu! By the way, you can get my popular book on Amazon, Barnes and Noble, Walmart, the St. Clair Publications site and many others! Happy reading. Read some different entries every day so it won’t be like Groundhog Deja vu! Some years ago, just after returning from a business trip, I was walking through the Nashville Airport on my way to the luggage return when I encountered a pair I was not expecting. There, only a few feet away, strolling in the opposite direction toward a gate, Glen Campbell was in a lively conversation with George Jones. Towering above his friend, Glen’s melodious voice rang out clearly in that corridor. I could have reached out and touched either of them, but that was so unnecessary, for both of them had touched me many times by their unique musical styles and the rapture in which one was lifted by their lyrics, tunes and voices. Yesterday, August 8, 2017, Glen, like his friend, George, left this world and left us all with a lot of great memories. He was 81. A few years ago I read Glen’s candid autobiography, in which he spared himself no shame for his wild past, and no regrets for his new, fuller life. I learned a lot about a man I now admire more than ever. 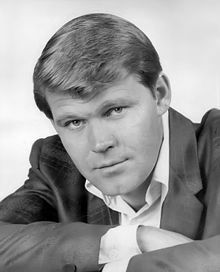 I, for one, will miss him dearly, but always cherish the Rhinestone Cowboy who was the Wichita Lineman, and the guy who went to Phoenix, leaving behind a broken heart.